Swimsuits and trunks from local favorites, and accessories to make you smile. Farewell, cold, rainy days. With summer starting early, it’s time to refresh your stock of swimsuits, sandals and warm-weather accessories. Here are our picks for summer in the city. 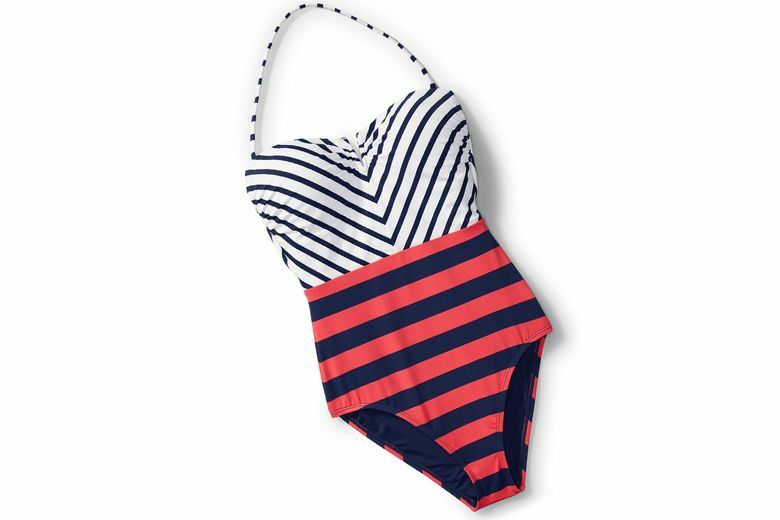 Tommy Bahama Channel Surfing One-Piece Swimsuit ($154). Go graphic in this bright and colorful one-piece from the Seattle-based beachwear experts. Not only are the mixed stripes super on-trend, they also create figure-flattering lines in just the right proportions. 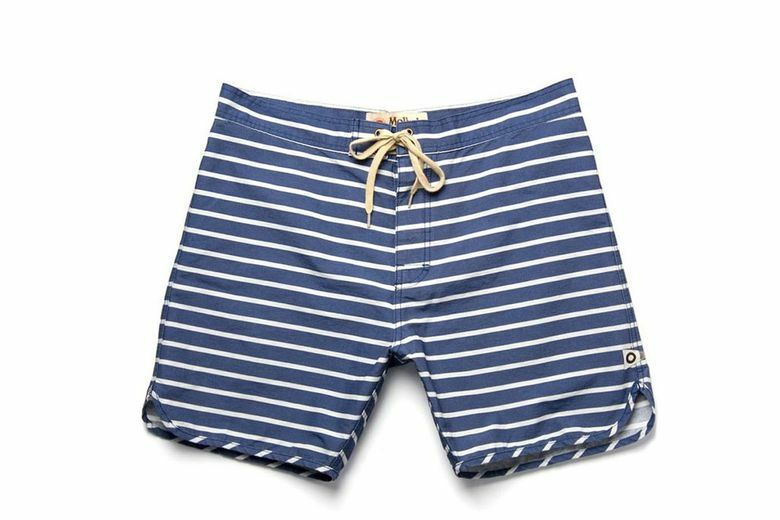 Bridge & Burn Mollusk Boardshorts in Navy Stripe ($68 at bridgeandburn.com). This pair of classic striped trunks provides both style and comfort. The 6.5-inch inseam creates coverage without looking sloppy, and adds to the retro feel. Madewell x Solid & Striped Elle Bikini Top and Bikini Bottom in Sahara Stripe ($88 each at madewell.com). Slip into this sporty, striped two-piece for Instagram-worthy bright and sunny style. Sézane Lorenzo Ankle Wrap Block Heel Sandal ($205 at Nordstrom). 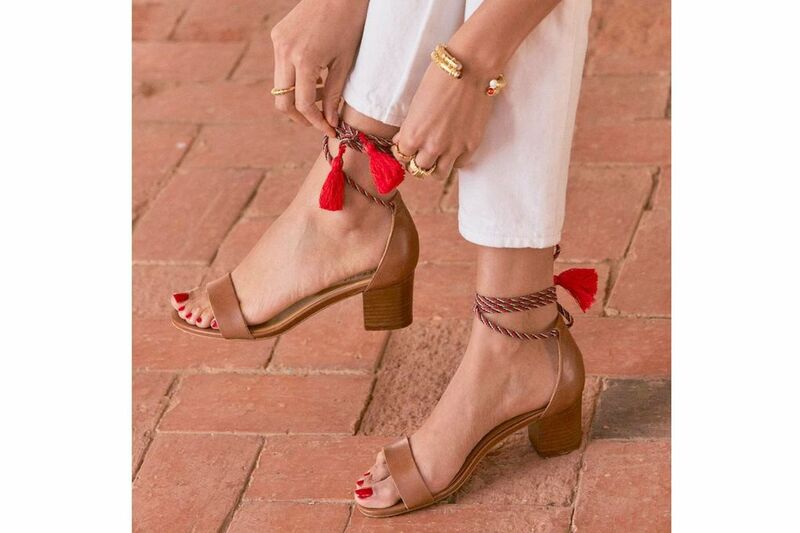 A bright pop of color delicately wrapped around your ankle gives these sleek vacation-ready sandals a touch of flirty style. Paloma Wool Maria Sandal in Light Peach ($185 at Glasswing). Slip on these neutral suede sandals from cool-kid brand Paloma Wool and you’ll be stepping in style all summer long. 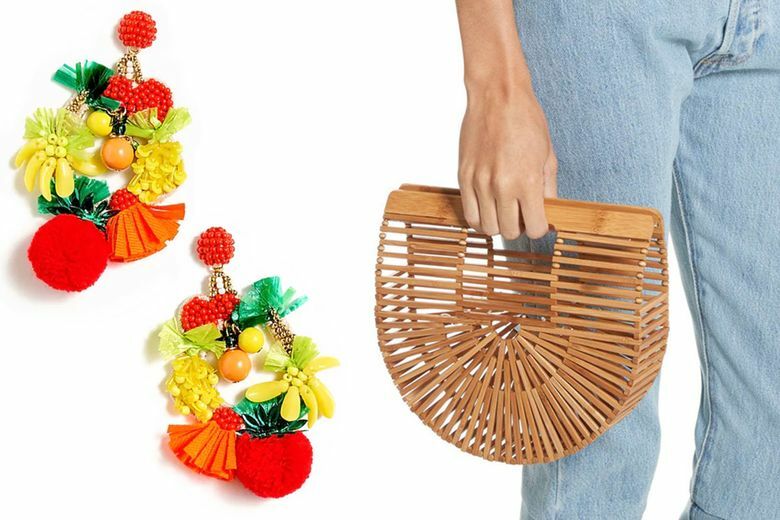 J.Crew Fruit Bowl Earrings ($68). A playful fruit motif, a big trend for the season, injects color and style into a basic summer outfit. These vibrant earrings include stones, sequins, glass beads and pompoms for loads for summer fun. Cult Gaia Mini Ark Handbag ($128 at Nordstrom). Bags with a structured shape are all the rage this summer. Carry this stylish piece, made from durable, light bamboo, wherever you go. 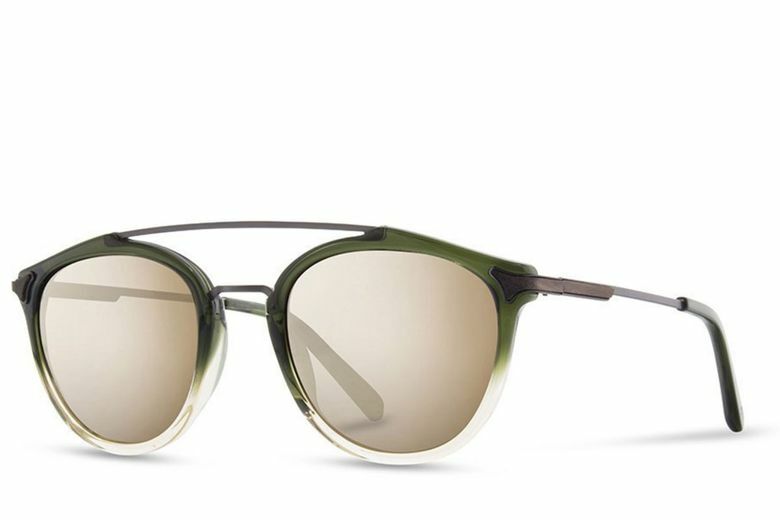 Shwood Kinsrow Acetate Sunglasses ($199 at shwoodshop.com). Part aviator, part nerd-cool, these acetate sunglasses have the genuine wood inlays the Portland company is known for.